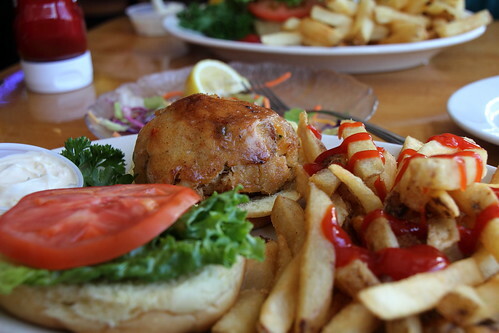 Crabcake sandwich with French fries, at Buddy’s Crabs & Ribs, at 100 Main Street, in Annapolis, Maryland. 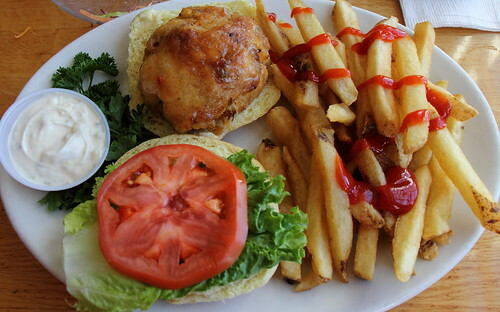 The fries didn’t look particularly interesting, but they tasted very good and were extra-crisp, so they must use a good-quality oil. I’ve been on a diet lately, eating very healthy food, but decided to splurge a bit for this meal.